An estimated 50,000 women are diagnosed with breast cancer each year in the UK, while in the US, more than 230,000 women were diagnosed in 2015 alone. Treatment includes lumpectomy or mastectomy surgery with adjuvant therapy such as chemotherapy and/or radiation. 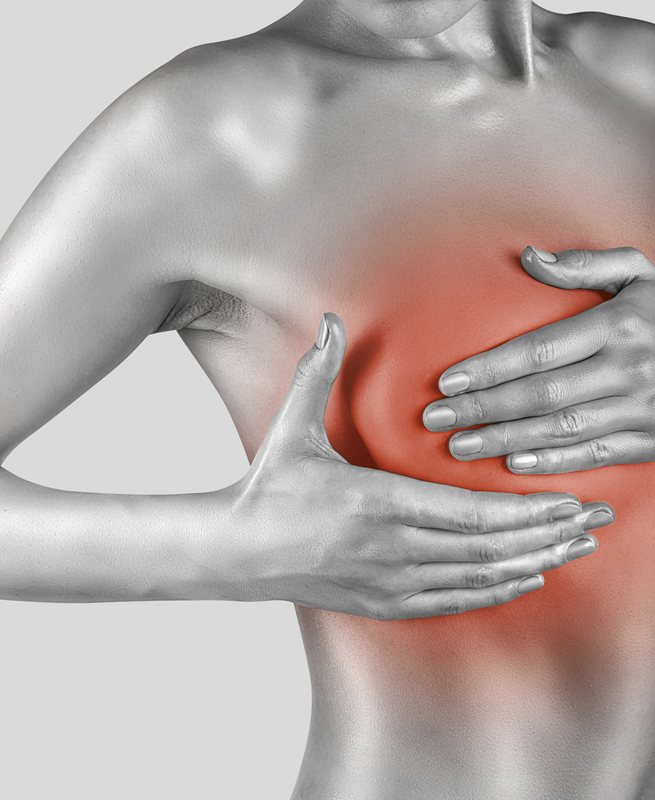 Around 40% of breast cancer patients will have a mastectomy. There were 23,200 mastectomies carried out in England in 2011/12 (NHS). This figure is likely to grow as more women opt for preventative mastectomy following the identification of the BRAC genes. 40% of women suffer from depression post-mastectomy. However, for various reasons each of these breast reconstruction methods can be unreliable and unsatisfactory. Artificial implants can be rejected; they don’t always look or feel natural and will also need replacing every five to ten years. Free fat and free flap transfer methods create a more natural look and feel. However, procedures frequently fail when the transferred fat is reabsorbed into the body. The tissue transferred in free flap surgery can also be reabsorbed and tissue rejection is a common risk. As a result patients will require multiple operations which mean long stays in hospital adding to trauma and distress. A poor surgical outcome is the main reason why fewer than 50% of women who have a mastectomy currently chose to undergo reconstructive surgery. Billions of pounds have gone into breast cancer research and treatment, an investment which has radically improved the life expectancy for women with even the most advanced cancers. However, a longer life expectancy means that women who have undergone mastectomy will also live with the physical and mental scars for many years, scars which can easily affect self-esteem, confidence and quality of life. For most women, breasts are a vital part of identity, yet very little research has gone into breast reconstruction after mastectomy. At RAFT, we want to see the same dedication and resolve going into breast reconstruction research as there has been in fighting breast cancer itself. RAFT scientists have been working on two research streams that will improve breast reconstruction surgery for women worldwide. The research is supported by RAFT’s Life After Breast Cancer campaign– find out more here. Free fat transfer involves transplanting fat from the patient’s own body, usually the belly or thighs, and using this to create a natural looking and feeling breast. While this technique overcomes the problem of foreign body reaction and high infection rate associated with implants, it does have its own complications as up to 90% of transferred fat can be reabsorbed by the body. Recent studies have shown that when purified adipose derived stem cells (ADSCs) are added to the fatty tissue, the success of the free fat graft is improved dramatically because it reduces the amount of fat that is absorbed by the body. So what are purified ADSCs and why are they so important? Stem cells have the remarkable ability to develop into many different types of cells within the body. There are two types of stem cells: embryonic (which are produced in the womb during the development of a foetus), and adult stem cells (which help to repair the body). We are looking at using adult adipose stem cells – those that help store fat. Once these stem cells are harvested, they are then purified so that only fat creating stem cells remain and all other types of cells (for example skin cells) are removed. It has been shown that mixing ADSCs with the patient’s own fat can reduce the amount of fat reabsorbed into the patient’s body. However, the technique is still in its infancy and more research is needed to improve the procedures used to identify, purify and transfer the ADSCs quickly and effectively. New techniques that will allow large numbers of ADSCs to be harvested within a standard operation time and at a low cost, so they can be transferred immediately to rebuild the patient’s breast. Benefits: This will mean fewer operations for patients, reducing the inconvenience, trauma and pain of multiple operations. For the hospital, it will reduce costs, both in terms of harvesting the ADSCs and in terms of the number of operations required. The laboratory work for this area of RAFT’s research has been completed. Methods to combine ADSCs with a pioneering new 3D biological scaffold. Benefits: Using a scaffold will ensure that the stem cell supplemented fat will stay within the breast reconstruction site rather than dissipating throughout the body. This will help to increase the survival rate and function of the cells after transplant and improve the cosmetic result. Moreover, the biological scaffold is made from proteins which naturally occur in breast tissue and will therefore be metabolised by the body as the new breast tissue is formed. This project is supported by RAFT’s Life After Breast Cancer campaign. To support RAFT’s Breast Reconstruction research, please click here. Free-flap transfer breast reconstruction involves transplanting tissue with a good vascularisation (blood supply) from one part of the patient’s body and using it to rebuild the breast. The blood vessels in the transplant are then joined to blood vessels in the reconstruction site using microsurgery to re-establish blood flow. A good blood supply is vital to ensure the transplanted tissue can survive. This technique is increasing in popularity thanks to its superior cosmetic outcome, durable nature, natural appearance and increased resistance to changes following radiotherapy. As a result, it now accounts for 20% of all breast reconstruction operations in the UK. However, free-flap transfer does have a risk of complications and around one in 10 transplants fail. The key to successful surgery is a good blood supply. However, if the supply becomes compromised, for example if a blood clot prevents blood from reaching the flap or if the flap becomes congested, complications arise. This can result in complete or partial necrosis (death of the tissue), delayed wound healing, prolonged recovery, repeated operations, pain, scarring and a huge emotional impact on the patient. Not to mention the cost implications to the healthcare system. RAFT’s research has focused on improving the success rate of the most common type of flap surgery, the Deep Inferior Epigastric Artery Perforator (DIEP) Flap, which takes tissue from the abdomen (essentially a tummy tuck) and uses it to reconstruct the breast. Developing real time imaging techniques to allow surgeons to track the blood flow in the prospective transplant tissue before and during the operation. Benefit: Surgeons will be able to identify the most highly vascularised tissue (tissue that has the best blood supply and best chance of survival), thus increasing the likelihood of a successful breast reconstruction operation. Developing methods to increase vascularity (blood flow) in the proposed transplant tissue before it is used for the breast reconstruction. Benefit: This will mean that if a patient does not have tissue that is well vascularised, surgeons will be able to use the new techniques to enhance the blood flow to the chosen tissue site, ensuring the reconstruction has highest possible chance of survival. The research for this project was conducted by Dr Anita Mohan. Academic supervision from Cambridge University was provided by Professor J Andrew Bradley, Head of the Department of Surgery and clinical supervision was provided by Mr C Malata, Consultant Plastic Surgeon and specialist in microvascular surgery and breast reconstruction. The majority of the experimental work has been undertaken in collaboration with and under the supervision of Professor Michel Saint-Cyr at the Mayo Clinic, Rochester, USA. He is a Professor of Plastic Surgery and holds a Practice Chair for the Division Plastic Surgery. He is a world authority on vascular supply in perforator-based free flaps and microsurgery, has authored more than 100 publications in peer-reviewed journals and has successfully supervised MD(Res) and PhD students from across the UK, USA and Europe. Ultimately, our research will mean that women can put the black cloud of breast cancer and its aftermath behind them and concentrate on rebuilding their lives. The free-flap transfer research project will benefit women from as early as 2020.